Jelsi, Italy: A small town in central Italy presented their annual International Prize – The Traglia – to His Holiness the Dalai Lama in recognition of His Holiness’ message of kindness, love and compassion. The award was received by Mr Tseten Samdup Chhoekyapa, the Representative of His Holiness the Dalai Lama based in Geneva on 27 July in Jelsi, Italy. 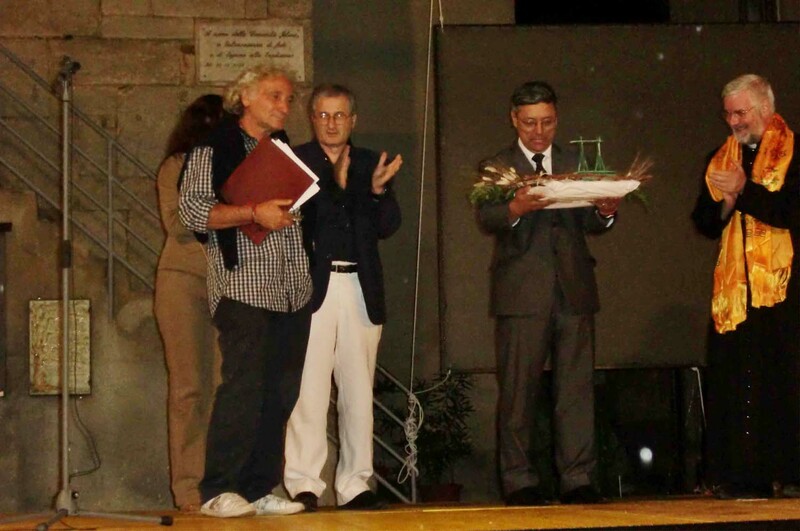 The ceremony was organized as part of the celebrations of Festa del Grano by Jesli town and supported by the Regional government. In receiving the award, Mr Chhoekyapa said that he was grateful and encouraged that a small town in central Italy recognised the work of His Holiness the Dalai Lama and expressed concern for the plight of the Tibetan people. Over 20,000 people came from all over the region on the first day of the annual festival. Four monks from the Gaden Jangtse Monastery in South India constructed a Sand Mandala and prayed for world peace. After the Sand Mandala was dismantled, there was large line of people waiting to receive a small portion of the sand from the Mandala. “His Holiness the Dalai Lama’s message of peace and nonviolence is very important for the growth of civilizations”, said Mr Michele Iorio, President of the Regional Government, Italy. He made this statement during his meeting with Mr Tseten Samdup Chhoekyapa on 28 July morning Molise Region head office. Mr Iorio also said that he support His Holiness the Dalai Lama’s called for autonomy for the Tibetan People.